This bakery cafe was established and built out in mid 2006 and has been a hit since day one. Hand crafted baked goods, bread and custom cakes. Open for breakfast, lunch and dinner to maximize this showcase free standing bakery cafe. Guests return time and again to this well run, sparkling clean establishment. The interior is tastefully decorated in casual yet upscale decor. 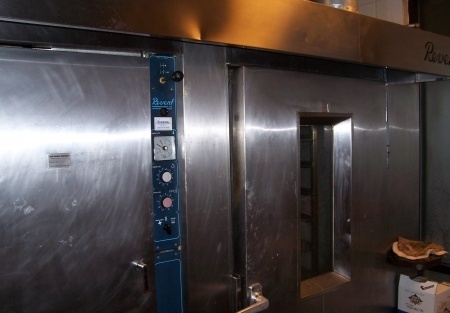 The kitchen, bakery and prep area has plenty of room and all equipment is in great shape, including the Revent double rack rotating oven. It produces a large varity of cakes, breads, and excellent gourmet coffee and espress. Beautiful upscale display cases to show off the bakers/chefs works of art. This business' gross sales in 2012 were close to $600,000. If you know the business, then you know the profit here is solid. Buyer must verify the gross sales. Free standing building with 2,200 interior Sq. Ft. with 300 Sq. Ft. of patio and plenty of parking. Their key to success is the repution,which brings customers from all over town with new growth coming from word of mouth and referrals.